Anthony Ervin is one of the most exciting sprinters in the sport today, and we are proud to have him on the Bridge platform. After winning the gold medal in the 2000 Olympic Games in the 50m free, Anthony retired from swimming. In 2010 Anthony started training again, landing himself a spot on the London Olympic team. He swam well in London and has continued to improve recently. This summer at US Nationals, Ervin battled a lightning fast final to win the title in the 50m freestyle. The three featured exercises that we will teach are the Seated Box Jump, the Dumbbell Forward/Reverse lunge, and the TRX Alligator. Equipment: The seated box jump is performed with a box and a bench, or 2 boxes. Starting Position: The athlete starts in a seated position focusing on relaxing his or her muscles while maintaining perfect posture. From this seated position, using a good arm swing, the athlete jumps up onto the box, landing softly and extending fully as if coming off the start or turn. As an athlete becomes more comfortable with this exercise, the height of the box can be raised to increase the difficulty of the movement. The seated box jump is an exercise we like to use to generate power through the hips. Tony is an overwhelmingly fast twitch athlete, so for him the seated box jump is great because it works to his strengths without fatiguing him with heavy loads. As a pure sprinter, it’s important to select movements and loads that will not compromise his ability to generate high rates of muscle contraction. From a functional standpoint, the movement also mirrors the start and helps emphasize explosiveness off the walls. Seated Box Jumps from BridgeAthletic on Vimeo. Exercise emphasizes single-leg stability, range of motion and general power foundational work. The DB forward and reverse lunge is performed on a flat stable surface holding a dumbbell in each hand. Start by stepping one leg forward, and lowering your back knee to 2 inches above the ground. Make sure your front knee stays in line with your big toe, and take a large enough step to ensure that your knee doesn’t go past your toes. Pause for a second and move through your starting point, then bring your original front foot back, dropping that knee towards the ground. Same rules apply – take a large enough step back so your front knee doesn’t extend past your front foot, and keep your body in line. From here return into the front lunge position and repeat for desired number of reps.
Start out with just body weight until you’re comfortable with and stable throughout the motion, then add dumbbell weight until the exercise reaches a desired level of difficulty. When Tony came out of retirement, one of the things we wanted to work on was helping build stability on the starting blocks. He had not lifted at all during his retirement—so we emphasized generating a solid foundation to build from. The DB lunge series helps him open up his hips while working on single leg stability. The emphasis has been on movements that involve as much of the kinetic chain as possible. This increased balance paired with range of motion allows him to explode off the blocks with as little power leakage as possible, a skill that is critical in any sprint event. Forward to Back Lunge from BridgeAthletic on Vimeo. - Scapula and cuff stability work. Sprinters generate a lot of power as they initiate the catch phase of the stroke and need to maintain this hold all the way to the exit point. Set the TRX bands up. Start with your body in a standing plank position. Keeping your arms extended, lean back until there is tension in the bands. To begin the movement, pinch your shoulder blades back and down. Keeping the palms of your hands facing each other, extend your right arm up and your left arm down to elevate your torso towards the origin of the bands. Keep your body in a plank position, and bring your hands back together to return to the start position. Repeat, raising the other arm, then repeat again bringing both arms to the side at chest height. To make the motion more challenging, lower the angle of your body to the floor (lean back further / walk your feet closer to the fulcrum). The lower you get, the more challenging the movement becomes. The TRX Alligator is one of the exercises we use to activate the scapula, and stabilize the posterior shoulder. As a pure sprinter, Tony generates a lot of torque at the front­-end of his stroke. This internal rotational power is how he cranks up to top speed, and increasing that torque is how he’ll generate more power. Since he’s constantly working on increasing his power in the pool, we need to continue to emphasize balance by working the posterior shoulder with exercises like the TRX Alligator and band external rotation. Better muscle symmetry and balance will decrease the risk of injury and improve his recovery time. TRX Alligators from BridgeAthletic on Vimeo. 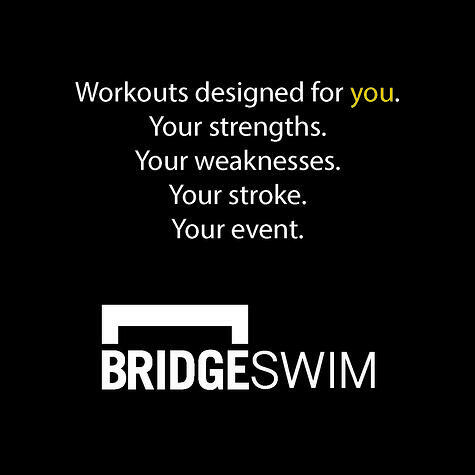 Click below to learn about how Nick and the Bridge team builds programs for each one of our athletes.